With at least 300 days of sunshine each year, it’s easy to see why solar makes sense for Arizona. 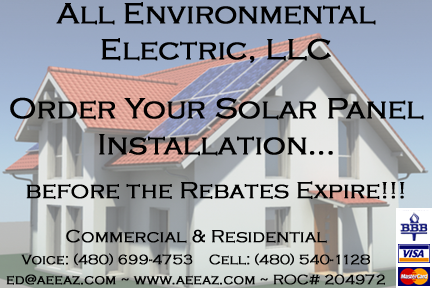 Whether you are using the sun to create electricity to power your home or business, or using the heat of the sun to meet your hot water needs, the advances in solar technology over the past decade make it a smarter way than ever to cut your energy expenses while making a positive impact on Arizona’s environment. Find out more about how we can help you harness the power of renewable electric; while reducing your long term utility costs. 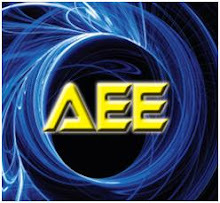 Visit us at www.AEEAZ.com or email ed@aeeaz.com. We are working hard to make the planet more green…one solar system at a time, join our efforts today and my the world a better place for your grandchildren. Check out what APS offers on their website with a taster below. APS incentives along with possible Federal and State tax credits can also make solar an affordable option in meeting your energy needs. For descriptions of available incentives see the Residential or Non-Residential incentive charts. Financing or lease options may also be available to you from your installer or financial institution that can help lower the upfront cost of solar installations. If you will be connecting to the APS grid, you will need to follow these interconnection instructions whether you are taking advantage of the APS Incentive Program or not. Go Solar in 2009, find out more at visit us at www.AEEAZ.com or email ed@aeeaz.com.